Purchase your copy from one of these select retailers! A new book may propel the longtime Bible vs. science controversy in an entirely new direction. 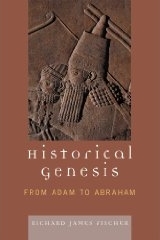 Historical Genesis from Adam to Abraham corroborates the Genesis 2-11 narrative about the Garden of Eden, the Genesis Flood, and the Tower of Babel with the history of the ancient Near East. These well-known biblical persons, places, and events are placed entirely within the bounds of southern Mesopotamia, present-day Iraq, from about 7,000 to 4,000 years ago. 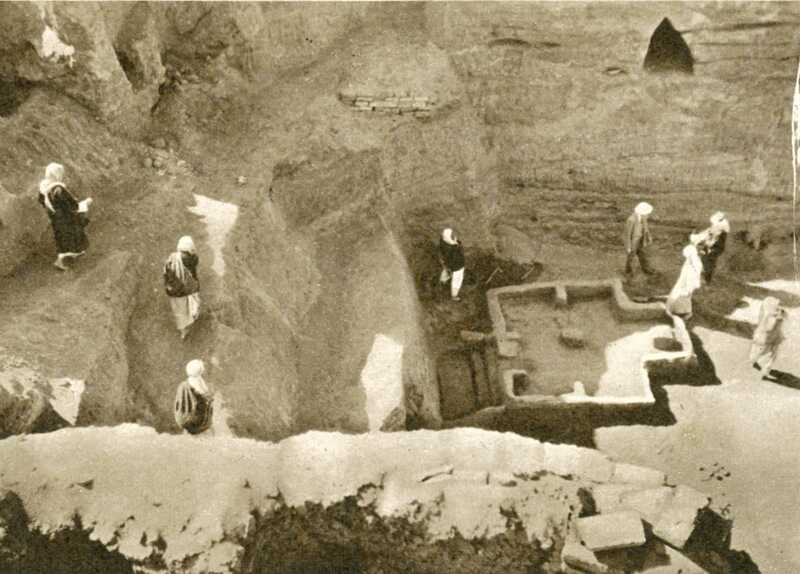 A photograph contained in the book published originally in 1948 by the Illustrated London News shows a modest shrine uncovered at the ancient city of Eridu, modern Abu Shahrein, dated to the fifth millennium – roughly the time of Adam. Touted in the original article as the oldest shrine in the region, archaeologists discovered atop the altar “traces of burnt offerings.” According to the author, Richard James Fischer, this in all likelihood is the very place where Adam and his immediate generations presented their sacrifices. The book dismisses the idea held by some that Adam lived more than fifty thousand years ago, was the ultimate progenitor of the human species, or that his transgression brought unplanned death to the animal kingdom. Instead, we are introduced to a real life, flesh-and-blood Adam whose mission was to usher in a new era of accountability. Corresponding to a legendary figure, Adapa or Adamu was described in various Semitic languages found on clay tablets scattered throughout the Near East. Described as “blameless,” “clean of hands,” “anointer,” and “observer of laws” Adapa/Adamu was a priest and seer, a profoundly wise man, who lived in Eridu located on the Persian Gulf. The name “Adamu” in Akkadian was perpetuated among Semitic generations for over three thousand years in memory of their legendary forefather. This name has been found in excavated grave sites, and was bestowed upon at least one Assyrian king and a Canaanite governor. The great flood in Mesopotamia was recorded in Akkadian and Sumerian inscriptions paralleling the biblical version many hundreds of years before Genesis was written. Identical words and phrases reflect the common origin of all flood accounts in that region and substantiate the flood as an incident of record, the first natural calamity causing devastating impact in human history. The generations of Noah disbursed as recorded in Genesis 10 and detailed in this book prior to the Tower of Babel incident in Genesis 11 and not as a result. The tower was a typical feature of nearly all Mesopotamian cities. Constructed originally as mud brick platforms to survive the hazard of frequent annual floods, by the end of the third millennium these became the famous ziggurats and temples of worship to various city gods. During the reign of Nimrod according to Genesis the Tower of Babel grew to immense proportions ultimately causing confusion to the inhabitants. Had the word “lip,” Hebrew saphah, been recorded by the translators of the King James Version of the Bible instead of “language” we might have understood that tower building was a frequent topic of daily conversation rather than thinking all modern-day languages emanated from Babylon, the author maintains. Difficulties in translation and interpretation led to our common misunderstanding of the Genesis text, Fischer argues, and have been a major contributor to the ongoing Bible-science conflict. He maintains that a literal translation of Genesis faithful to the original Hebrew coincides with the ancient history of southern Iraq, the land of the Tigris and Euphrates, discovered only within the last two hundred years. Is it possible that a literal interpretation could settle the Genesis debate? How ironic would that be?